Game of Thrones adhesive beer labels, variety pk (Sheet of 9 labels) that easily stick to bottles, glasses, cups, and etc. A great idea for any party, or just great while watching the show. Serve your friends a bottle of assorted Game of Thrones Beer at your next party, Every order includes one Game of Thrones beer label each of Frey, Lannister, Nightswatch, Targaryen, Tully, Baratheon, Greyjoy, Stannis, and Winterfell. These labels are the same design as the beer coasters you love already. 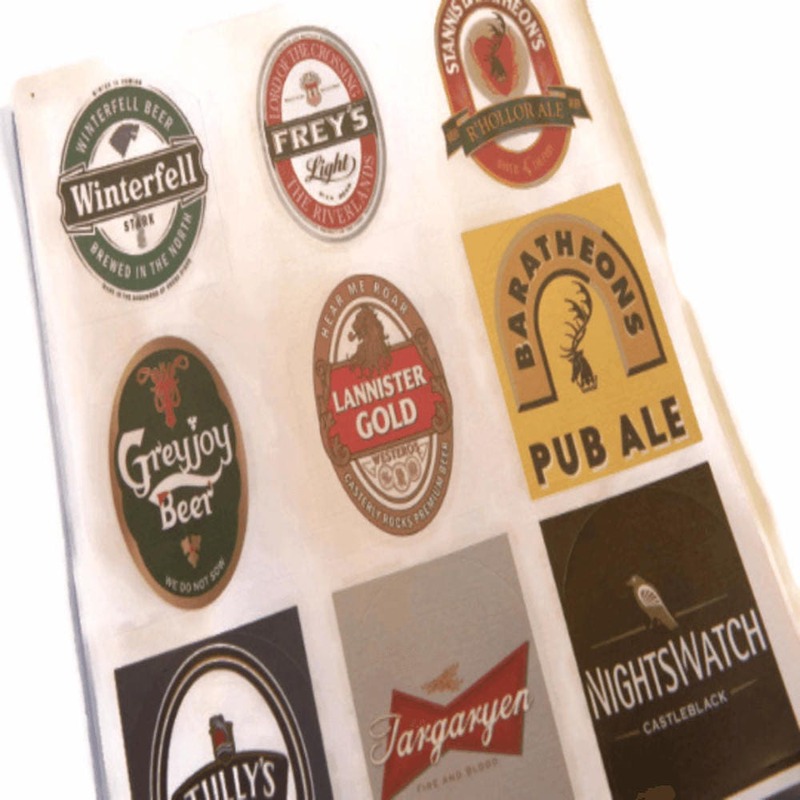 I print all of the Game of Thrones beer labels on premium water resistant textured adhesive labels to give the labels that professional look while using only OEM ink to bring out the most vibrant colors, and intricate details of the beer logos to achieve the best quality beer labels for your bottles, glasses, cups, and more. They look great! Everyone loved them at our premier party, they were a fun surprise! Just as described, fast ship!